Hi Friends! I hope springtime is bringing you warmer weather and birds singing! 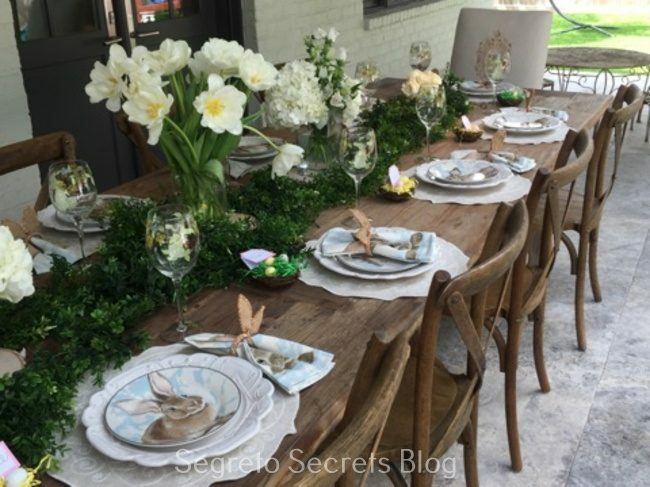 I got some wonderful tablescapes from last years posts full of inspiration for your Easter tablescape this year! 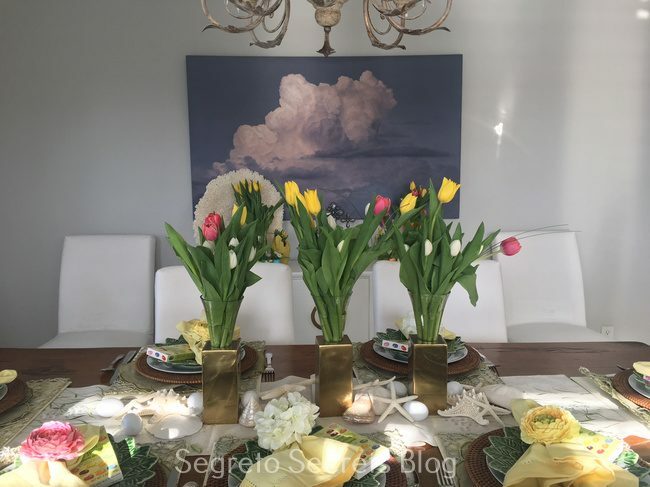 Last year I wrote about my top 2017 Easter pics and many of you used some of the ideas to create your own beautiful table. I was headed to Galveston for a dinner at the bay! 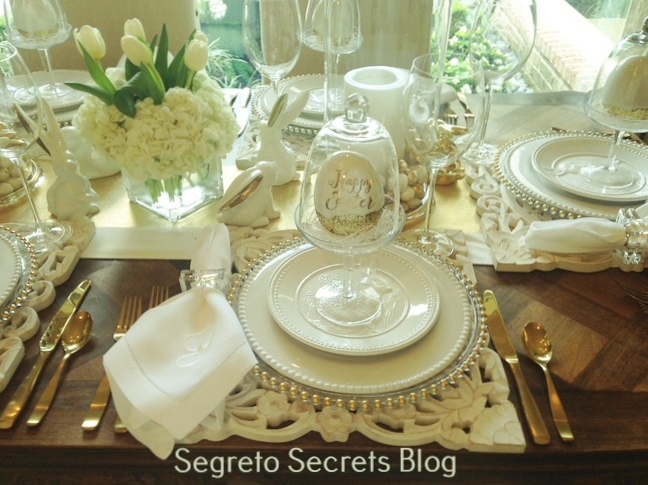 Above are things I had and others I purchased for my springtime seaside tablescape. Tulips, seashells and flowers was the theme. I did get to Trader Joe’s at 8:00 in the morning to score their best selection of tulips! I always like to pick up little party favors there too–they have all sort of fun and different candies individually packaged like these gourmet jelly beans! 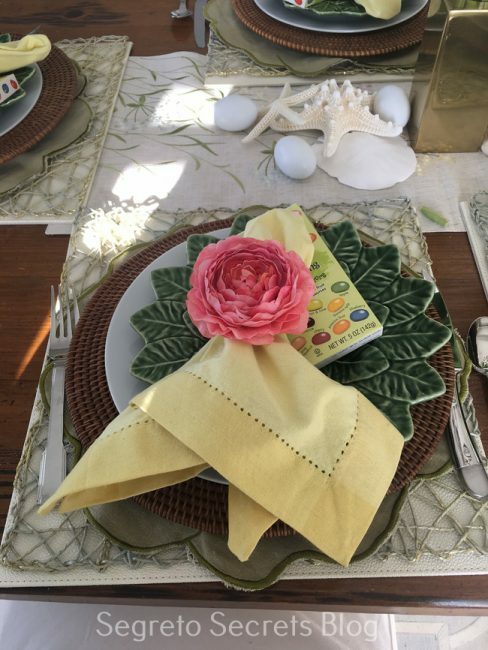 The napkin rings were from Pier 1 Imports, napkins and runner was from Marshall’s Home Goods, and the bottom layered place mats were from Z Gallerie. All of these items I already had. 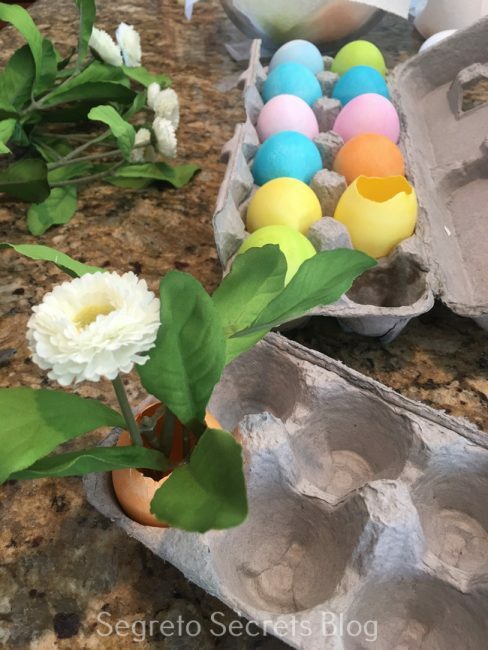 Then I just sprinkled some Easter Eggs among some shells I found scattered around the house. 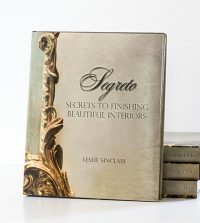 I purchased these Aidan Gray vases from me at the Segreto Boutique. 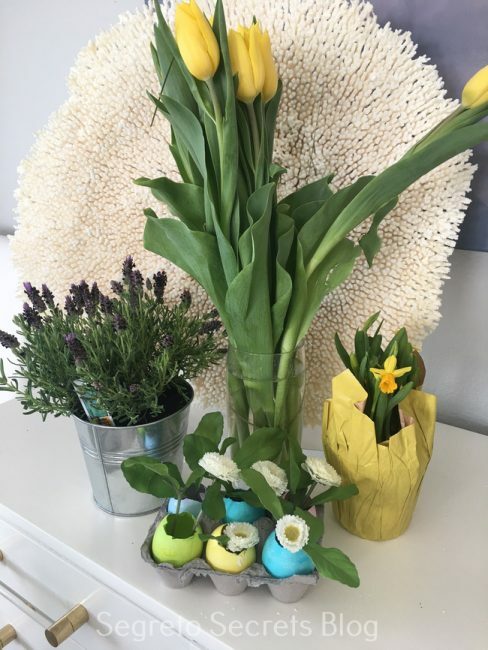 …… instead I purchased some fake potted flowers from Ikea for @$1.50 and put them in the new egg vases. Good news they will still be alive for next year! 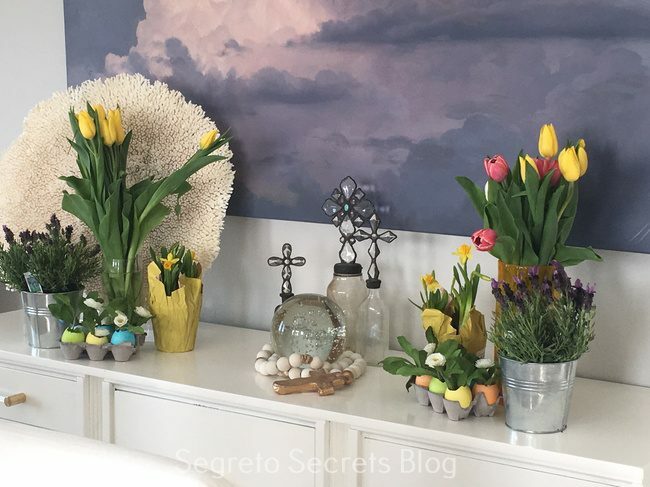 I mixed my Trader Joe’s flowers and new egg vases with accessories from around the house! Easy peasy! 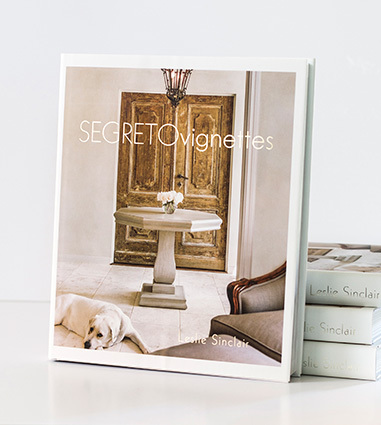 Susie has long been my inspiration for tablescapes. She is the queen of layering. This is the first time I have seen her use gold utensils! I have often thought about adding that to my collection. Do you have gold? Do you use it often? I love the eggs in the cloche stands. If you relook at the above two pictures, she was trying them on the plate and to the side. Which would you pick? Look at the outdoor kids table! Just as pretty as the inside-super cute! 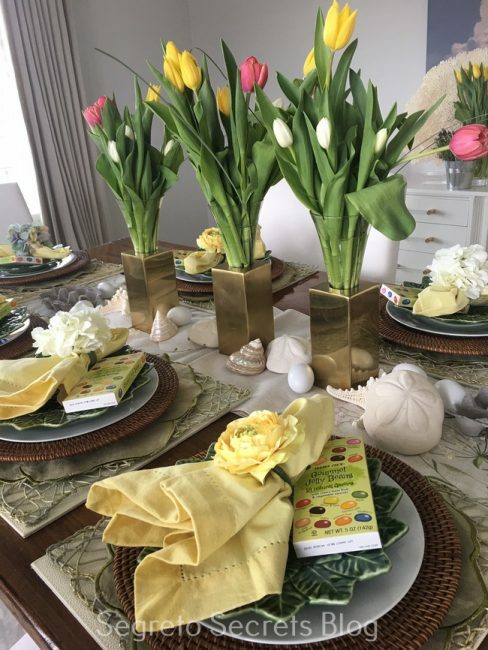 I spy one of my favorite 2017 pics –burlap bunny ear napkin rings! 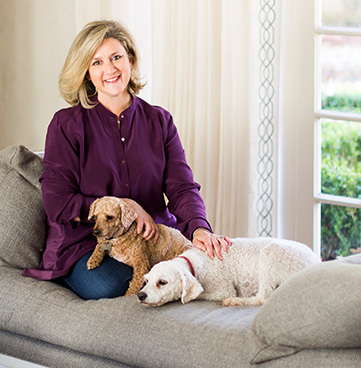 I had posted this picture from Pottery Barn last year which Melissa loved. Using it as inspiration, this is what she came up with. Wow! It’s even prettier!!!! What went into it? 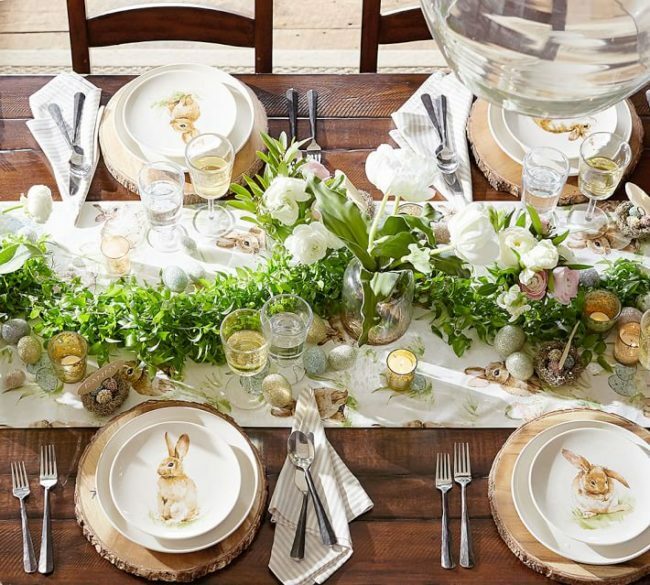 There are those bunny ears really compliment the napkins and plates from Williams-Sonoma! 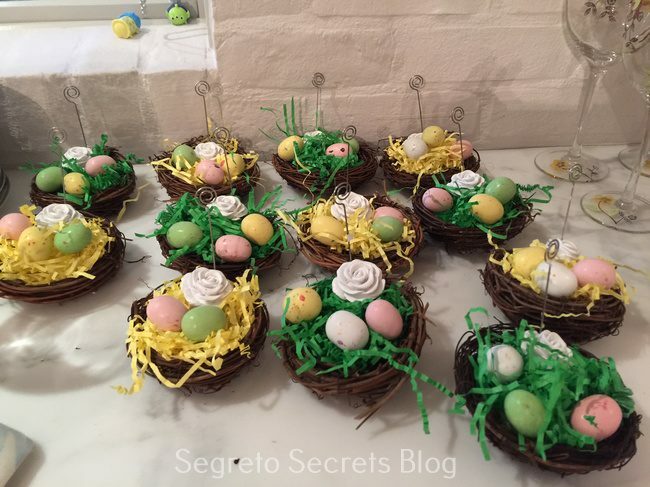 Look how cute these nest place-card holders are! 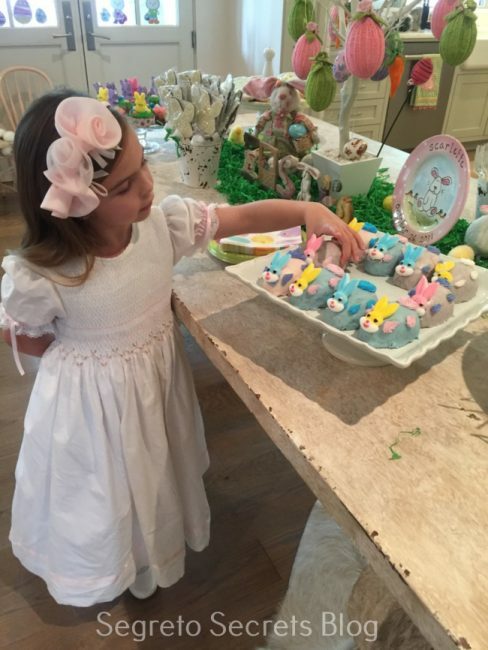 Melissa made them with her little helper…………………..
…………….Scarlett! Dressed in her Sunday best she loved decorating the desert table for sure!! But wait, before you eat the desserts, it’s time for the first course. I am going to try this for my next party! 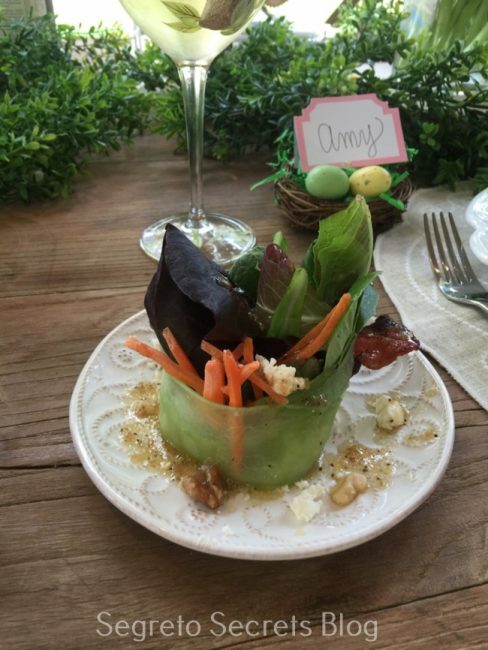 What a beautiful salad presentation!! 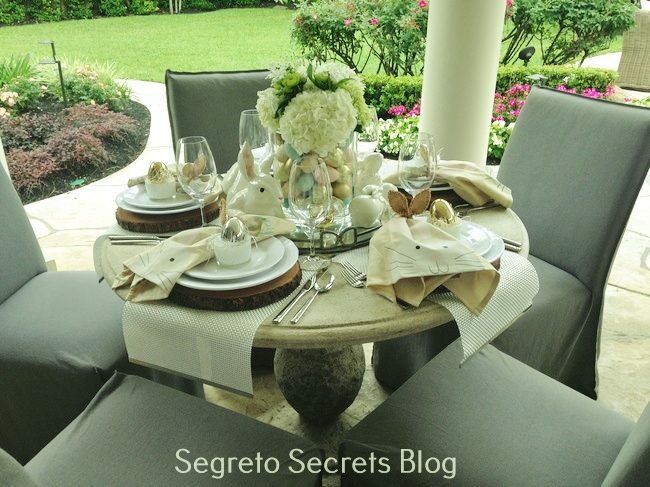 I have always loved this room featured in Segreto Style and was excited to see how Kay set her Easter Table! 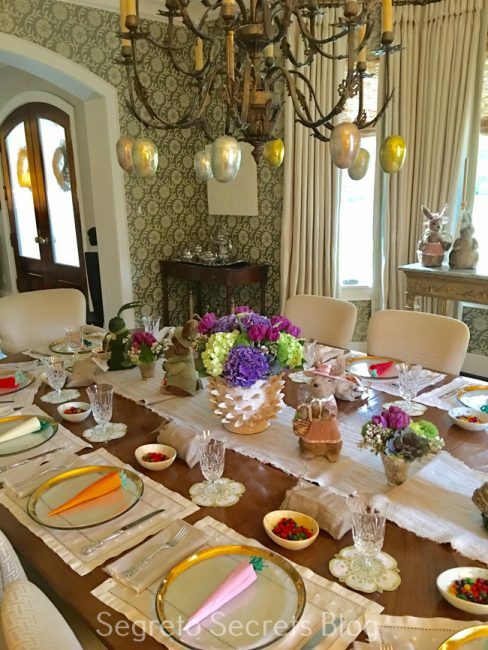 See the carrots on the plates? They are Easter poppers and were filled with baby chicks, a joke and Easter stickers! I love this idea and am going to find some for this year’s table! 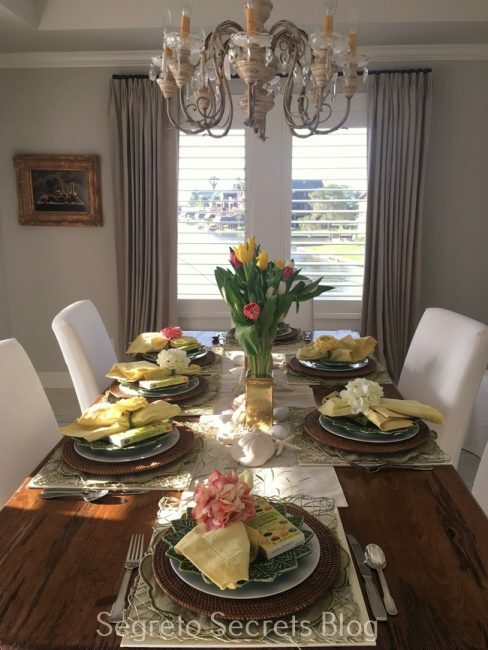 The eggs hanging from the chandelier are certainly the finishing touch! Well done Kay! Look at this sweet gift Charlotte made with her Mom for my Operations Manager Isai. We office together so I get to look at that cute face every day! 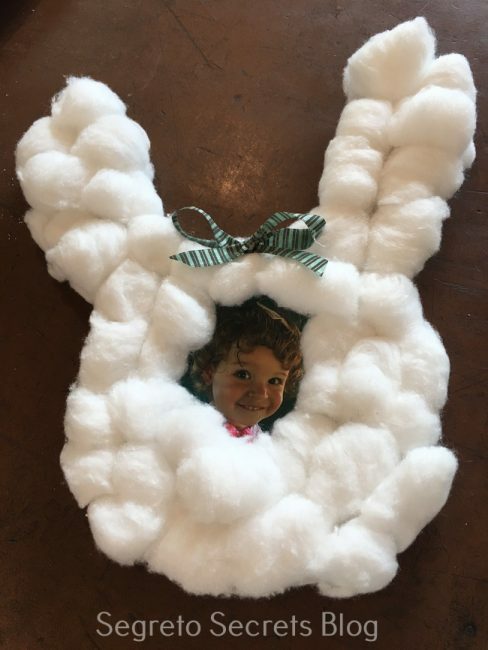 Super easy, this is a fun activity to do at Easter or with your kids or grand kids!! 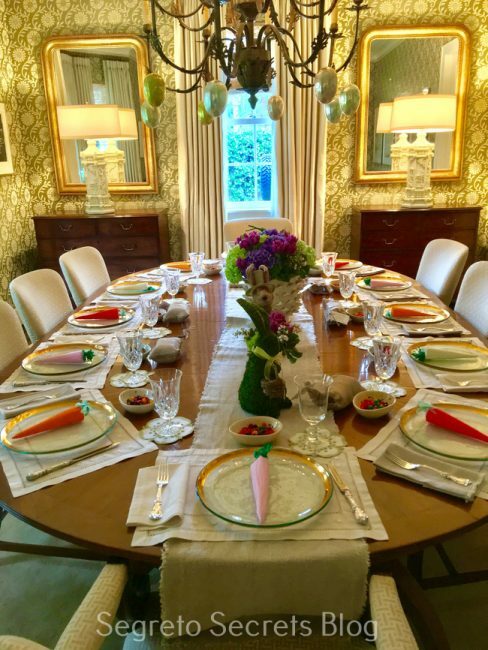 I remember Susie’s table you shared with us for Thanksgiving last year. 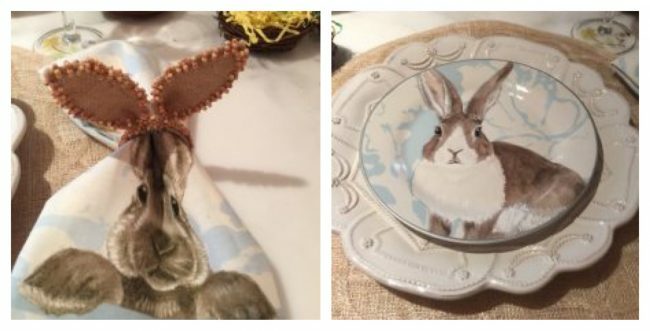 It was such an inspiration that I bought the same drink/wine glasses, placemats, napkins, chargers, but I wasn’t able to purchase the plates as they are sold out from Hobby Lobby. 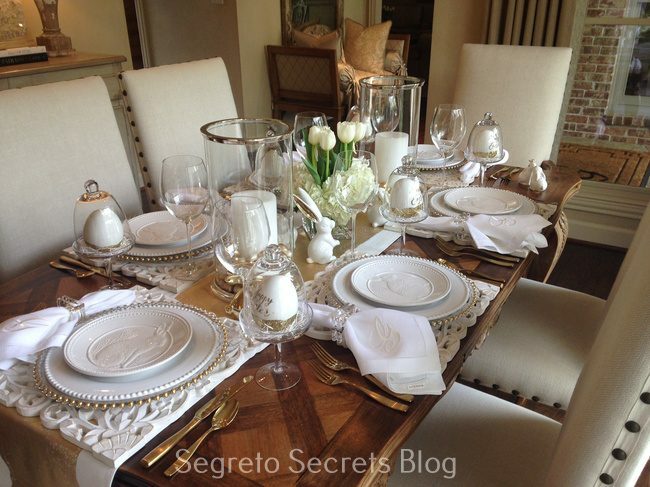 Do you know where she purchased her dining table? Hi Belinda!! I looked everywhere for the same plated but they were sold out everywhere as well! 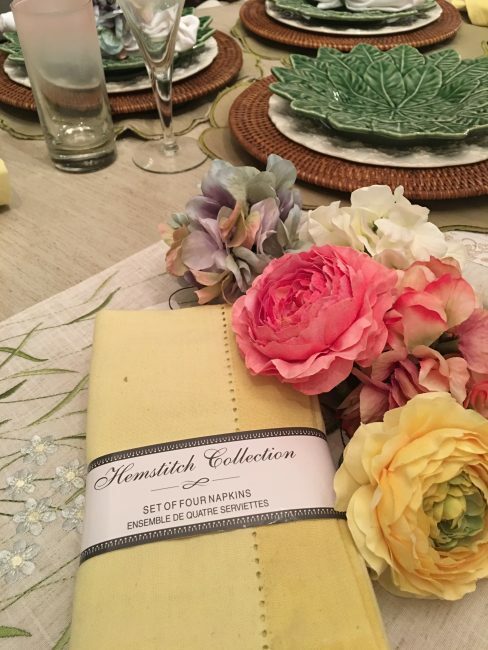 Send me a picture of your table set!! I bet its beautiful!! Her dining table is so pretty but she has had it for a long long time!20 plus years. 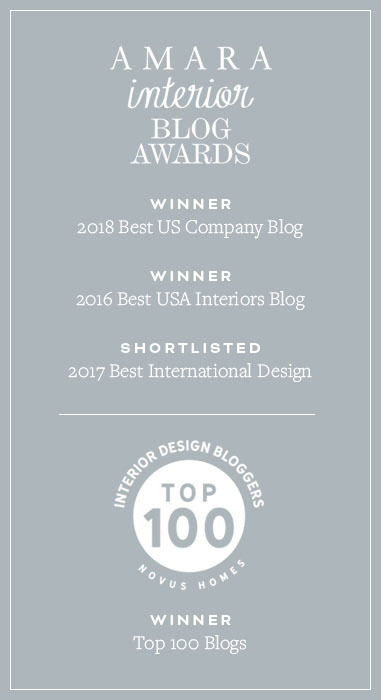 Thank you so much for following the blog!! 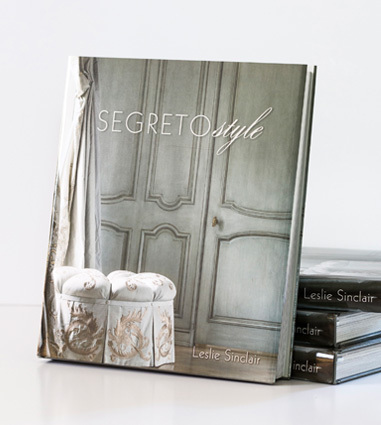 Please let me know web address of your boutique! Hi Rosemary!! WE Closed the boutique down to make more room for showroom space. Our address is 1414 Antoine!